This is a simple, fresh salad that took minutes to prepare. 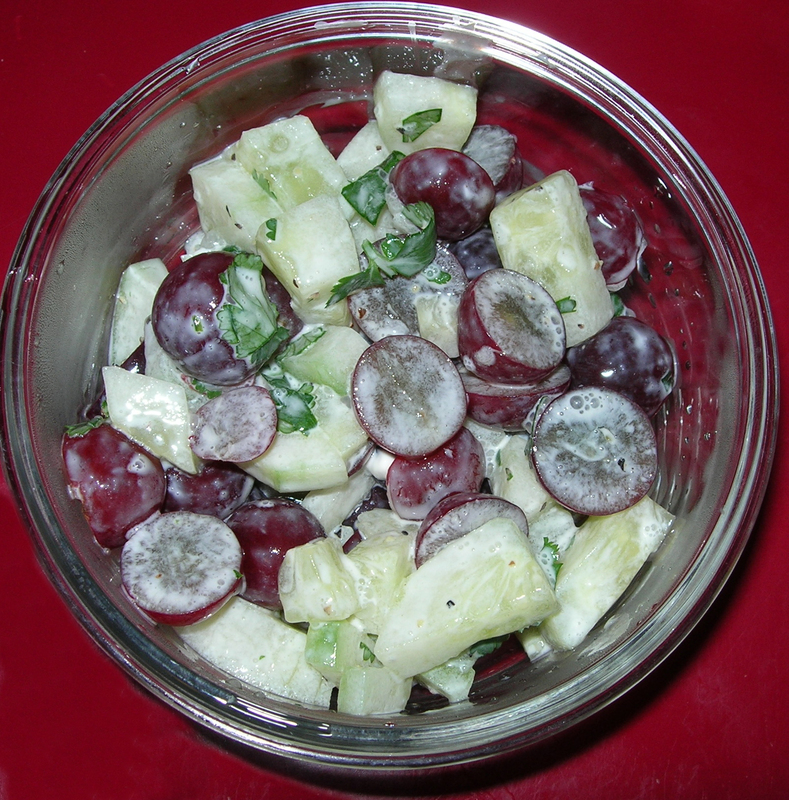 I peeled and cut one cucumber into small pieces and cut 1 cup of grapes into halves. I added about 1 tbsp of finely sliced onions and 2 tbsp of finely sliced cilantro. Adding a bit of salt and pepper, 1 TBSP of sour cream and 1 TBSP of rice wine vinegar and stirred it all up. The blend of sweet grapes, tangy onion and the springlike freshness of cucumber and cilantro is fabulous and irresistible. It make 4 servings, but good luck not eating it all.